Have you begun making your summer plans? Are you taking a fun trip or just relaxing at home? Well, you can still relax this summer while learning and making connections. I have a few tips in building your personal learning network (PLN) while you're relaxing on the beach. When I was teaching, my summers were precious and I didn't want anything to interfere with my time off from work. I would resent my administrators requiring me to come back to school early or in the middle of summer to attend workshops or conferences. And, I was never interested in the workshops! They had nothing to do with my (instructional technology) teaching area or my passion (project based learning). Then, I would remember that great educators continue to learn and find new ways to improve their teaching. Through collaboration and connection with fellow educators with similar interests, they build their personal learning network (PLN). A PLN is personal because you are the selecting the professional educators you wish to have in your network. You're able to connect with these people all through the year; on your time. Seek out people who inspire you. Even though it's always beneficial to hear your favorites in person, you can save time and money by connecting online. I love innovative uses of technology in the classroom. I attend iPadpalooza every year. And, it's held two miles away from me! 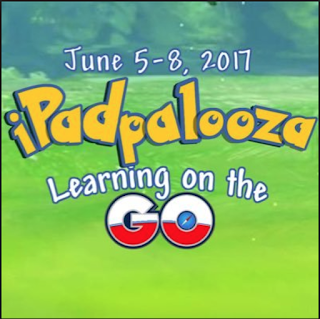 iPadpalooza is a low-stress, fun conference filled with useful ideas for using iPads and apps integrated into your curriculum. - Have you listened to podcasts, watched webinars, or attended online conferences? You can do all of these during the summer, in the evening after your children are asleep, or even during your conference time at school. - I subscribe to different online magazines and blogs that provide excellent information. Tech & Learning, Edutopia, and Education World are filled with up to date information. I even connect with them through Facebook and Twitter. Some of my favorite educational bloggers are teachers like me. - Don't forget about social bookmarking. I use Pinterest, LiveBinders, and Google Favorites to save lessons, blog posts, and new apps I want to try. - Master an online tool or app that you would like to use with your class. YouTube or the application site offer excellent tutorials in learning new apps or online applications. You never know, you may come across a learning tool that you want to share with your colleagues. Have you joined Twitter Chats, Facebook Groups, or Google groups? Try Twitter Chats with educators in your area of interest. These groups connect people all over the world. Hopefully, schools will take action to provide professional development that is of interest to the school community and is more collaborative than just a one person presentation. Professional development that shares leadership and ownership in problem-solving promotes healthy professional learning. So, this summer, try building your PLN. 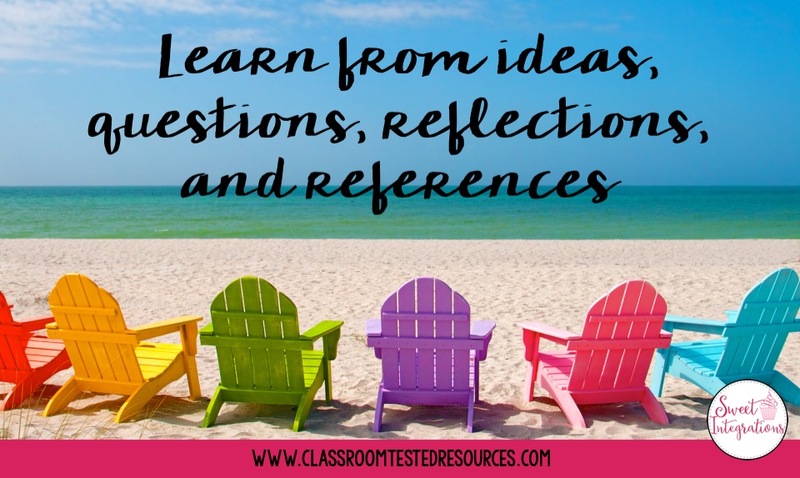 You can learn from other educator's ideas, their questions, reflections, and their references. I bet you have great ideas to offer, too!